How to create a resume / CV interest online. You have trouble creating a resume or CV in English online, now many sites provide free services to create a CV (Curriculum Vitae) online. this time I will review how to build your resume / CV Interest on the internet. If before you usually make a CV and job application letter in Microsoft Word or other office processing, so this time you can try to make it online without having to install an application of any kind, and it is free. For Its not too proficient in the design, the site is also very suitable for you, because here there are many templates that you can use for free without having to register and pay anything, it is suitable who want to make a visual CV online. 1. Visit the site www.kickresume.com . 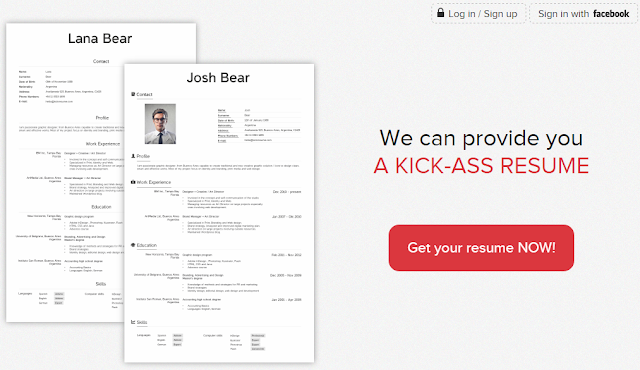 On the main page you will find a navigation button that says "Get Your Resume Now" just click on the button. 2. 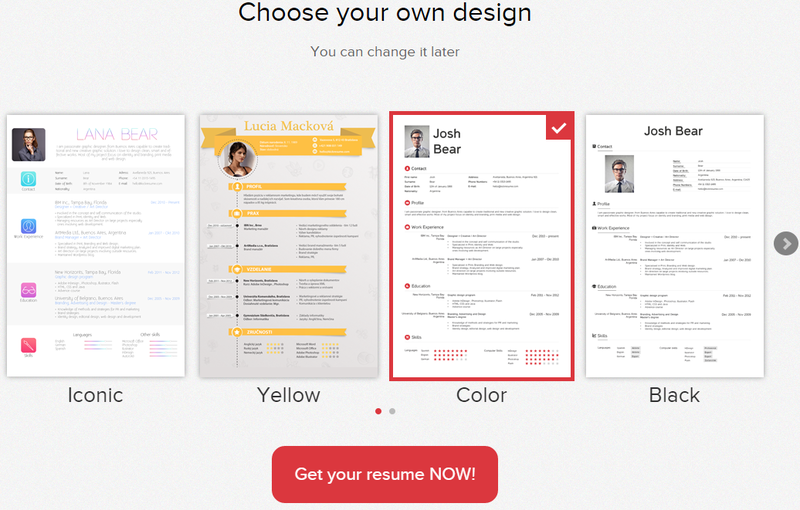 Select a template to make your CV. This stage is to choose a design that you like, just click on the design that you like and then click again on the button "Get Your Resume Now"
there will be available form that you must enter on your data, and you can also upload your latest photos in put in your CV. 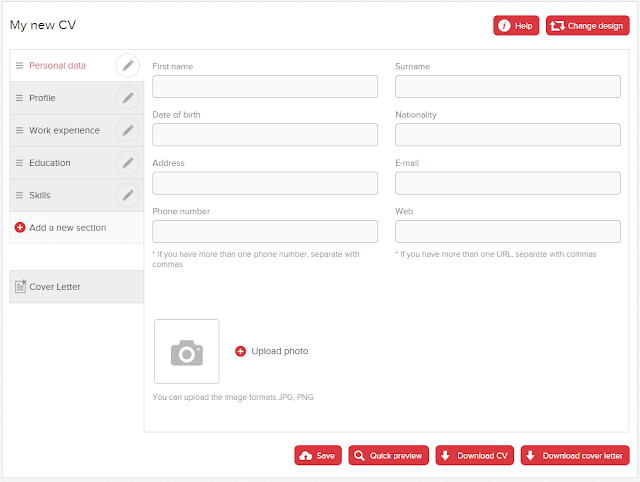 complete fill your data from personal data, profile, work experience, education and skills. Now you are able to resume the save when it is finished, or if you want to check in advance to your first review. if you've finished you can download, then will automatically convert into PDF form. A few only this time my tutorial on how to make cv online , you can create a resume with a variety of styles and designs that are available on the website. Here is a collection of sites that you can use to create your CV or Resume in the Internet. That's good to see this post.